Under the action of low pressure, the wheel pile foundation bears most or even all the downward pressure. When the wheel pile foundation is subjected to uplift force, the uplift force is supported by the short pile, and the ring frame and the 4 flange mainly play the role of transfer pulling force, while the main bearing force is short and short pile. When the wheel pile foundation is subjected to horizontal forces, the horizontal force is mainly borne by the flange and the ring frame. Therefore, only downward pressure and horizontal force should be considered for the ring frame and flange, while uplift force should be considered for the design of thin and short piles. The basic design is simple and the transmission path is clear. The ring frame, flange and short pile of the wheel pile foundation are prefabricated. The foundation can take different prefabricated installation methods with the mechanized construction conditions. It can not only guarantee the quality of the concrete slab, but also speed up the construction speed of the foundation. By comparing with the economic technology of the plate foundation, it is found that under the same geological conditions, the use of wheel pile foundation can reduce the concrete earthwork and the increase of the load, the decrease of concrete is also increased, and the amount of steel is saved, and the economic benefit is remarkable. 1. Wang Y H, Ding S J, Guo Y S, et al. 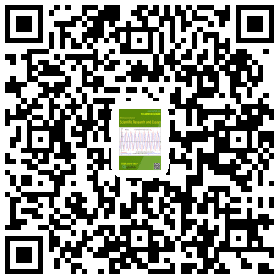 The Design and Application of Assembly Foundation of Transmission Line in Desert Area[J]. Electric Power Construction, 2010. 2. Chen Z, Shutao P U, Guo G, et al. Numerical Simulation on the Bending Properties of Micro CFST Members[J]. Journal of Chongqing Jiaotong University, 2018. 3. Rong-Zhen S U, Chen P, Xian-Long L U. Experimental Study on Uplift Bearing Capacity of Micropiles for Transmission Tower[J]. Building Science, 2011.